Recently, I have been working with a few clients here in NYC that suffered from muscular imbalances making it hard to grow a certain muscle or improve an exercise. I tried to explained that this approach would not work, but make matters worse. And yet, I could not make myself understood. It was almost as if I was speaking a different language (I know I have an accent, but still). Well yes, sit down and learn. I had a flashback to a time long ago when I was a teenager, known as the 90s. I was a pretty good swimmer, but not a great one. Like most teenage boys, I was interested in swimming fast, think 10x50m, all out. But my times had not improved for a while, think a year. Then we did a lactic acid test to find out where the weaknesses and strengths of each athlete were. Mine came back that I had great capacity in anaerobic work such as sprints and high speed swimming, but my aerobic ability left to be desired. Well, sports isn’t a democracy. My coach took all the speed work away for 6 months and made me swim 1,000m, 1,500, 5×500 m etc. AHHHH!!! The boredom!!! However, when I returned to racing shorter distances, my times improved greatly. Why? I had gotten a Porsche engine. That one conversation transformed me from mediocre to scholarship material. 1. The squat of exhibit A is weak because there is no hamstring strength. I took out all squats and ordered leg curls, single leg deads, glute/hamstring raises, and single leg press. 2. The shoulders of Exhibit B are not developing as much as they could because they are too forward and elevated, as well as inflamed due to front delt tightness, overactive traps, and weak rhomboids. Take away all pressing and focus on rotations, rear delt work, wall slides. and reverse shrugs. 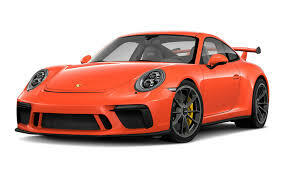 So next time you are having trouble with a certain muscle or exercise, look at it from all sides and find out which part of your Porsche is missing! Next post: How to Ensure a Great Workout!